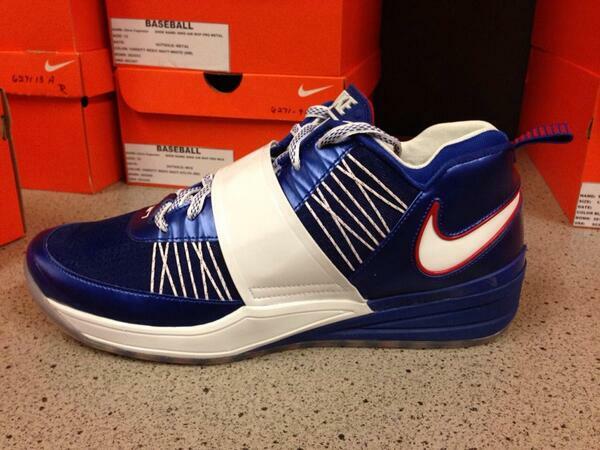 Matt Kemp sure has some nice sneakers. 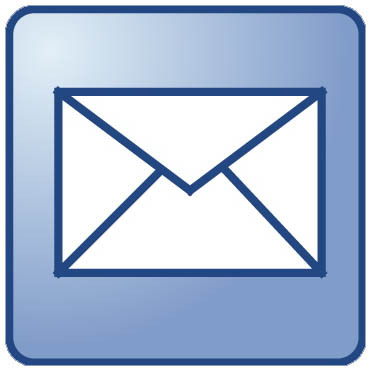 Check it about above. The pic was sent out via Kemp's Instagram account earlier today. 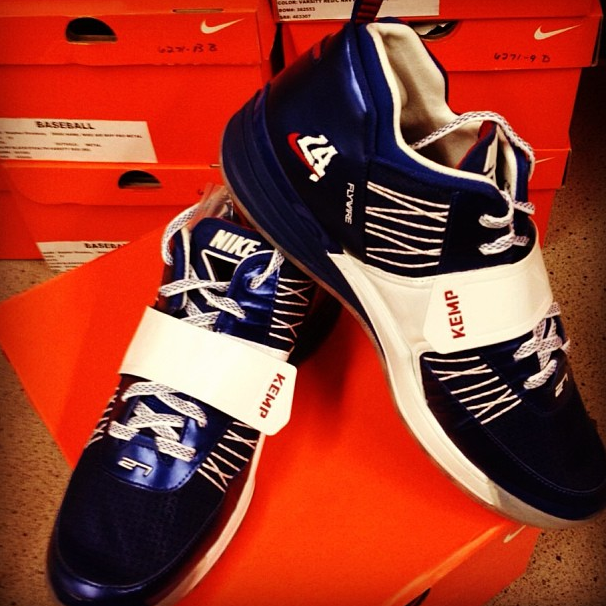 These are Nike Zoom Revis Matt Kemp Player Exclusive sneakers that he must have received today. Via a story by Sir Lucas Leftfoot on NikeBlog.com, no public launch is planned at the moment, but you never know. I'm sure sneakerheads who bleed blue will gladly wait patiently for the chance to add this to their collection. UPDATE: Here's another photo as found through twitter @JohnGeiger. 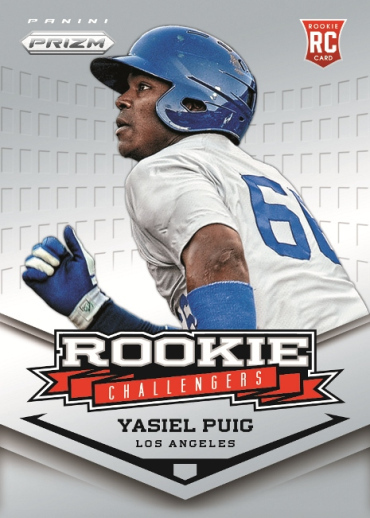 Not to be outdone, Yasiel Puig continues to bring excitement to the Baseball card hobby. 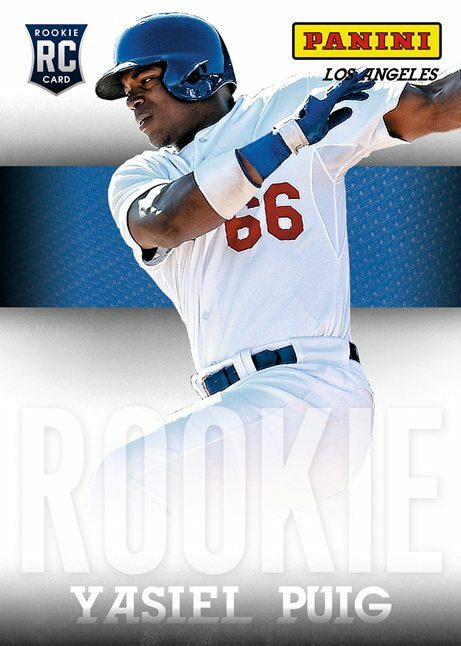 Panini America announced today that Puig will be included in their upcoming 2013 National Sports Collectors Convention Base Set. It will be numbered to 499 copies, and there will be numerous parallel versions available numbered to only 5 copies. Check more information on their blog, here. Dodger fans will only have to a few more weeks before this can be added to their binders. 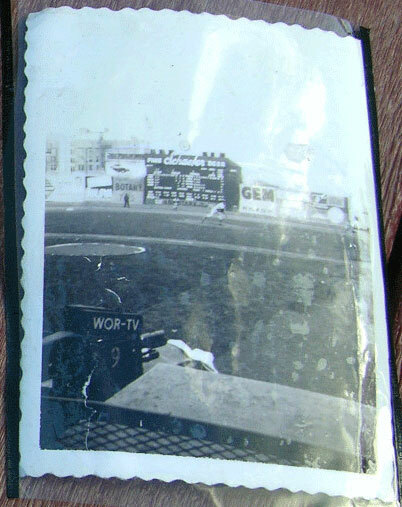 I came across another eBay auction of some fan-taken photographic snapshots of the Brooklyn Dodgers. 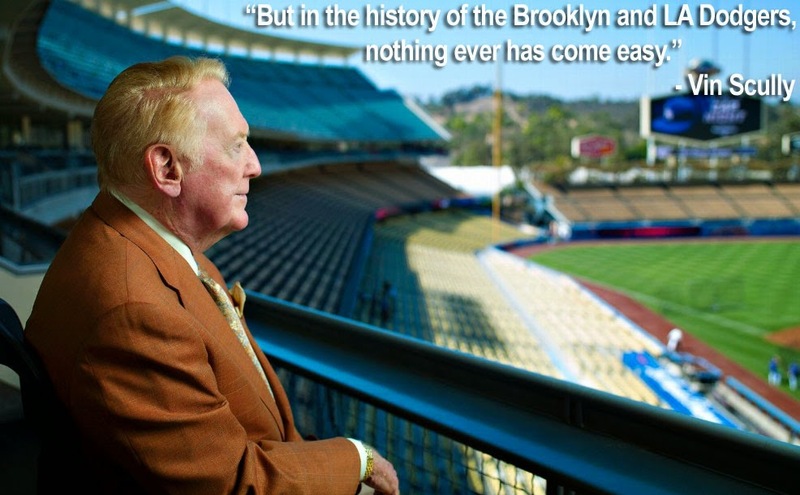 Well... At least, everything points to it being of the Dodgers. Take a look. 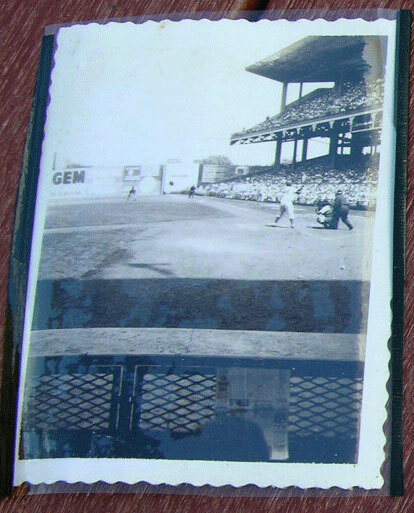 These are three vintage Polaroid photographs that were clearly taken at Ebbets Field. That's easy to tell because of the advertising on the outfield walls. 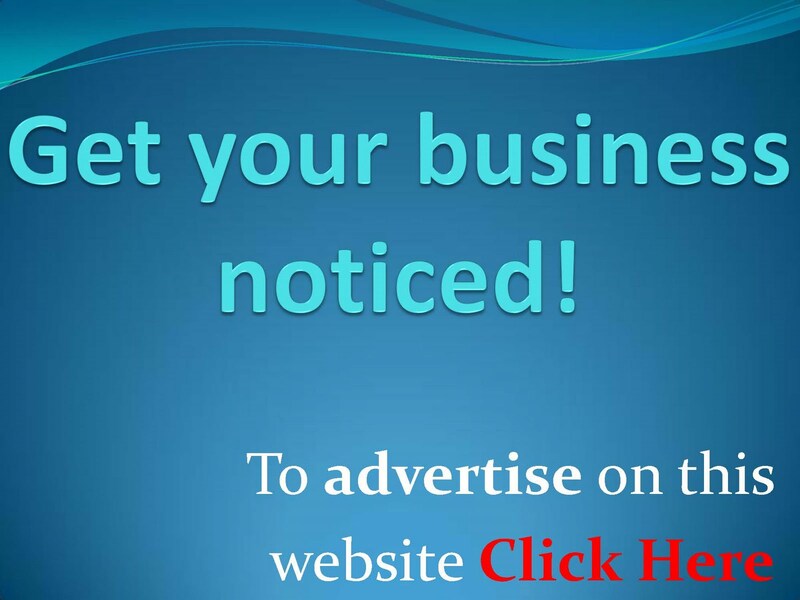 The giant Schaefer Beer billboard and Gem Razor ad are easily recognizable. 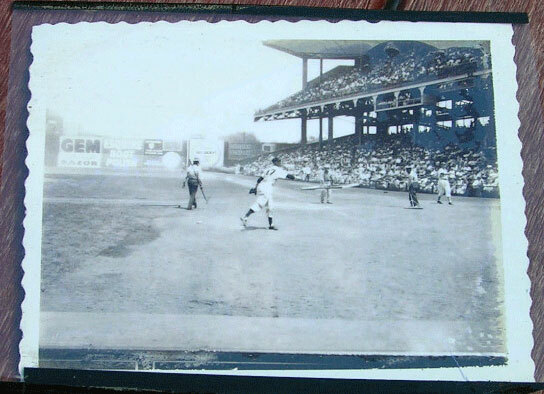 Additionally, I'm fairly certain that Jackie Robinson is featured at the plate in the photo on the left. 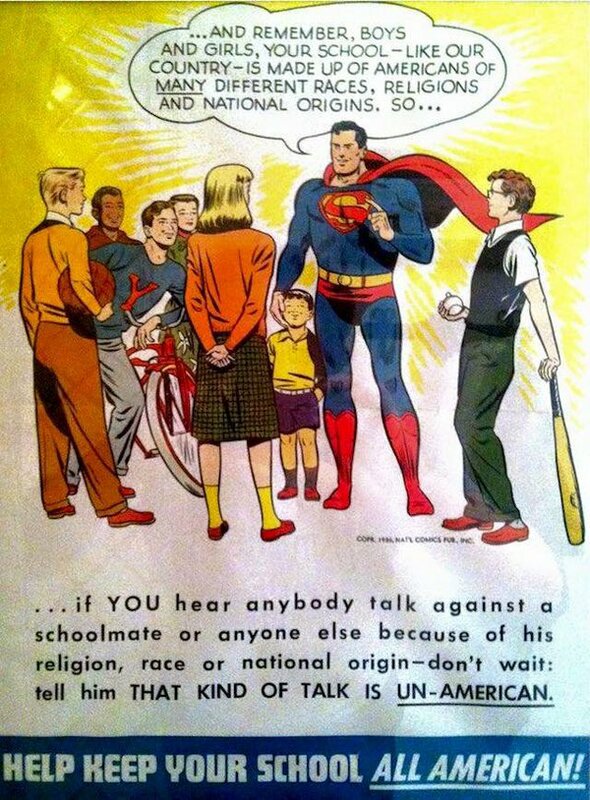 Check out an enlarged copy below. Jackie's batting stance is unmistakable, and so is the #42 on the batters back. Unfortunately, the next photo is a little more fuzzy. See it below. Clearly, it is from before the start of the game as you can see the ground crew preparing the batters box with chalk. In the foreground, a pitcher is seen warming up, but the seller (and myself) can't figure out who it is. It cannot be a Dodger, since no one wore #47. So, who is it? If anyone has any clue please let me know. As for the final photo, your guess is as good as mine as to who is shown pitching. Still, I love checking out these kinds of vintage fan photos. They are always one-of-a-kind and are unique in their own special way. They allow me to look through the eyes of a fan who is sitting right there. 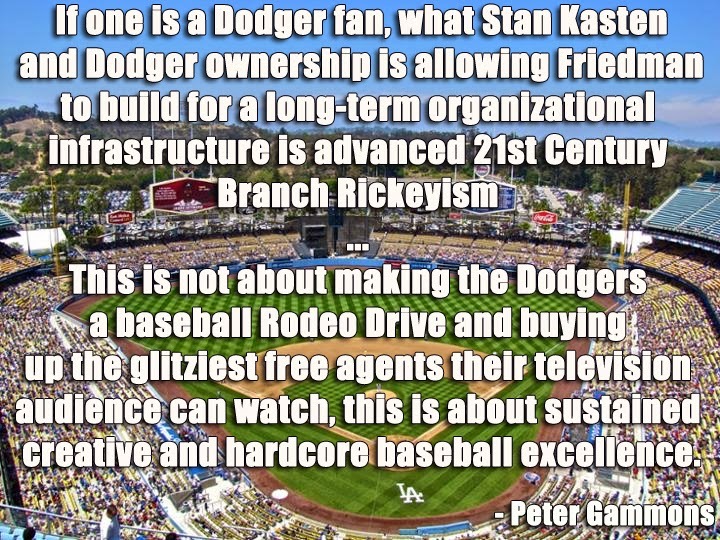 Can't you just imagine myself enjoying a hot dog and watching the Dodgers play? 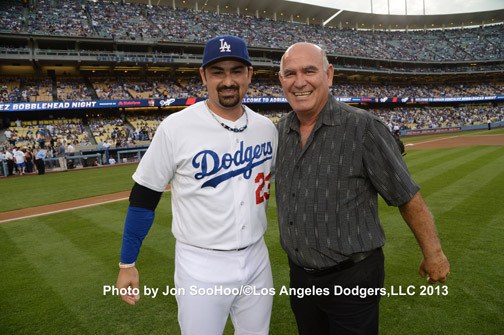 Last night Adrian Gonzalez's father threw out the first pitch. Check out a photo of them together, above. Pic via Jon SooHoo/LA Dodgers 2013. Via the Daily News, "Dodgers President Stan Kasten talks Yasiel Puig, Dodger heritage, kosher hot dogs, stadium Wi-Fi, his 'Yankee' manager and love of the game as he meets fans, answers tough questions". 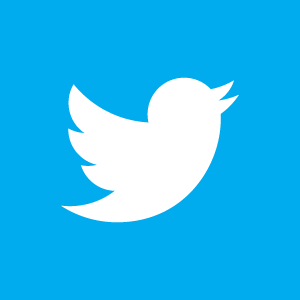 You must check out the discussion. It's great. Below is a small sample. KM: Did I see you say the Dodgers wouldn't give a contract to a player that would take him beyond what, age 36? SK: I was misquoted (laughter). What I said was, last year, people in the media went off and had their own theories about what we were doing, including 'oh they've lost their minds; they don't care what they spend on anything,' and I made the point that if you look at who we got last year, none of those players had contracts that lasted beyond the age of 36. It's not like we got guys into their 40s or mid-40s. We were watching what we were doing. I'm not gonna say we will never get a guy beyond the age of 36. We haven't done it yet. It's a useful benchmark. Maybe it should be lower than that. I don't think you mortgage the future by getting guys who are no older than 36 when their contract is up. KM: Will the time come when we'll be able to walk all the way around the park? Chris Olds at Beckett provides a sneak peek at Panini Prizm Baseball cards. 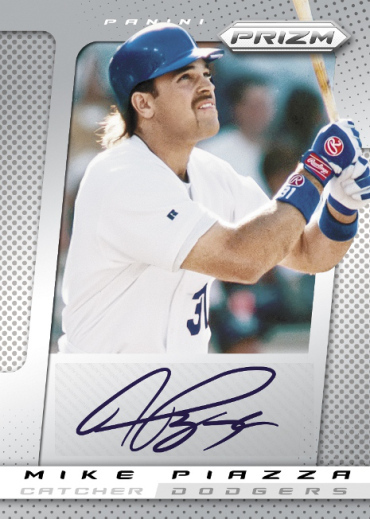 Check out the Puig and Piazza cards below. The set is slated to come out on September 18th. Via Christopher Jackson at Examiner.com, "Dodgers' White and his staff adapt to new world of scouting". Mathew Orso at New Jersey Baseball Magazine writes about New Jersey's greatest ballplayers. 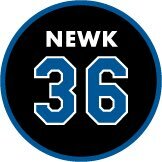 He starts with starting pitchers, and Don Newcombe is on top of that list. Jill Painter at Inside the Dodgers shares a video of Puig speaking with the media. If you haven't seen it yet, here is the interview Puig gave to ESPN, yesterday. And here's a story from ESPN entitled, "Yasiel Puig likes to play 'aggressive'". If you don't already know, Puig did not win the fan vote for the All-Star game. He responds on twitter by thanking the fans. See it below. Muchas gracias de todo corazon. Thank you from bottom my heart. Quiero agradecer a la mejor fanaticada del mundo. Thanks best fans in world! Unfortunately, some things never change. Yasiel Puig aggravated a hip injury last night, via JP Hoornstra at Inside the Dodgers. Via Cash Kruth at MLB.com, four Dodgers are ranked in the top 20 for sold jerseys. That's the most of any club. Dan Barry of the NY Times writes about the Jefferson R. Burdick collection of Baseball cards that is having a huge show at the NY Metropolitan Museum. Burdick is the Godfather of Baseball card collecting. There's a great slideshow to look through. 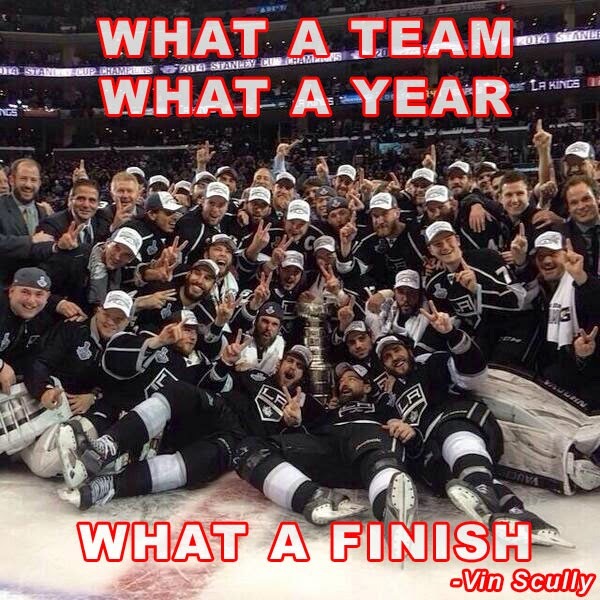 The new LA Kings star? Via twitter @MettaWorldPeace.